The maidenhair fern growing inside is the sole inhabitant. There isn’t room for anything else, except for a couple of pebbles and a miniature sheep – the small white thing perched on a stone. 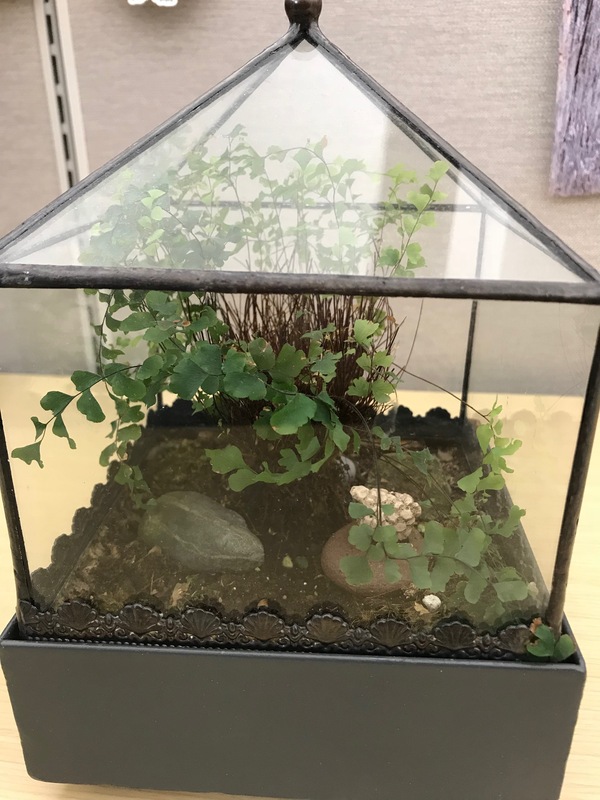 The entire terrarium is only about eight inches wide. When I go in to the office, I take off the lid for a few hours to let it breathe. If it needs a bit of a drink, I give it a little water and pop the glass back on. Over the years, moss has grown on the soil, making the little scene even more attractive. If I can’t get in for a few weeks to water it, as long as the lid is on, everything is fine. I do have a base of gravel at the bottom for drainage, and a layer of charcoal under the soil. Terrariums have been trendy in recent years, but I’ve always been into them. When I was a little girl, I would create them in large jars. 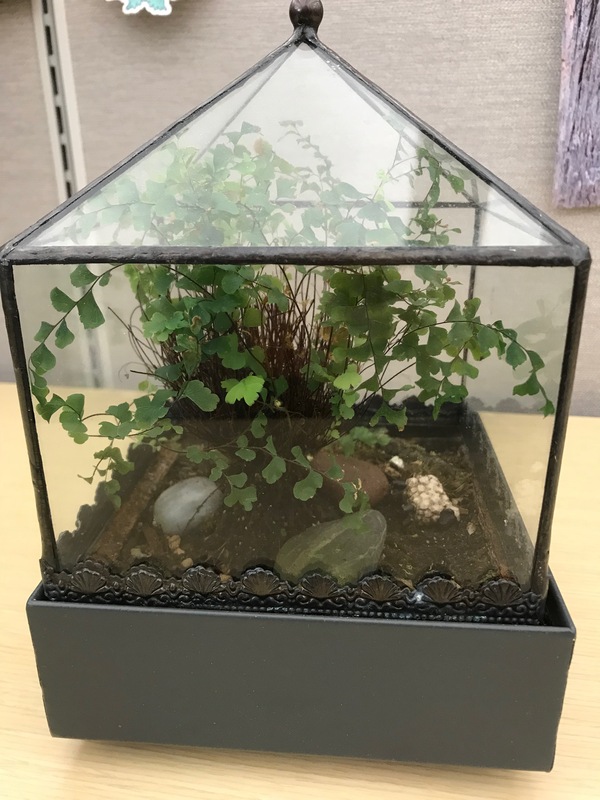 Please don’t succulents in terrariums – exactly the wrong habitats for plants that like things dry. Stick with small plants like ferns that will enjoy all that humidity.